Tyga always seems to be in some sort of trouble with either the law or the repo man. Earlier this month, the California based rapper was in quite a bit of legal trouble when a warrant was issued for his arrest, after he failed to show up for a court hearing regarding a lawsuit involving his former landlord and unpaid rent. He later paid the landlord $480,000, which helped him avoid being arrested in the process. While Tyga is out of the woods as it pertains that legal battle, the repo man paid him a visit earlier this week; and at an extremely inconvenient time. Tyga was out Bentley shopping with his girlfriend Kylie Jenner out in Calabasas earlier this week, and pulled up to the dealership in his fancy red Ferrari. They spent some time looking at looking at different cars before heading back to Tyga's Ferrari… Only to realize that the vehicle wasn't there anymore. Turns out the repo man rolled up to the Ferrari while Tyga and Kylie were car shopping, pulled out a spare key, and took the vehicle back. According to sources, Tyga missed "a couple" of his lease payments, and with Tyga's shaky resume of paying back people he owes money to, the lessor decided to take no chances; taking the car back in the process. Tyga and Kylie reportedly ended up getting a ride from one of his friends to get back home. This isn't the first time the repo man has come looking to Tyga's property. Earlier this year, the repo man was looking for a G Wagon he gifted Kylie for her 18th birthday. The repo company hasn't been able to gain access to the vehicle because it sits behind two security gates at Kylie's residence. And it gets worse. Just a few days after he lost his Ferrari, a different repo man reportedly swooped in and took back Tyga's $2.2 million Maybach. Tyga had reportedly taken the car into a repair shop in Laguna Niguel, California. Then he stopped making payments on the car. For most people, getting their car repossessed in front of their significant other would be a highly embarrassing situation. But something tells me that Tyga and Kylie are used to this kind of thing by now. Marvin Jules is a freelance writer with a passion for music and sports. He is a graduate of Rutgers University with degrees is Communication and Human Resource Management. In addition to writing, he also runs an online store where he curates and sells vintage clothing and accessories. Marvin's favorite billionaire is Warren Buffett. 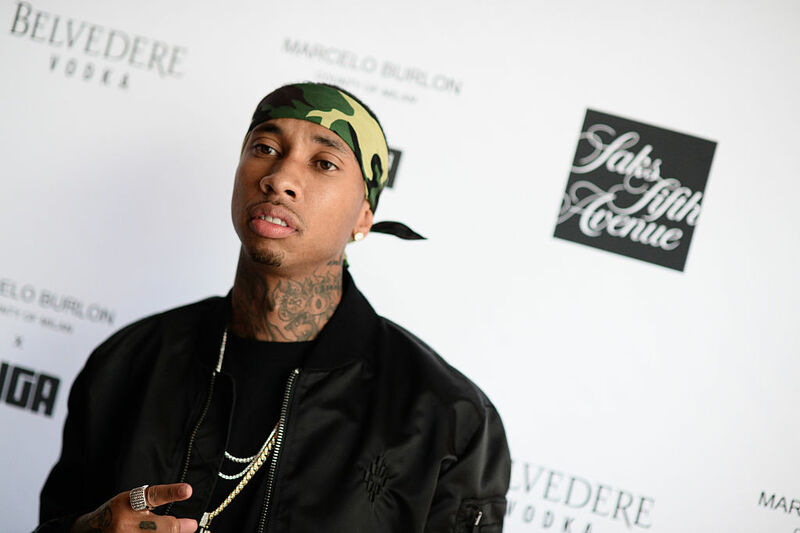 Tyga was kicked out of Floyd Mayweather's birthday party for fighting over a recently repossessed Maybach, and now he's being sued over almost $130,000 he owes on two other cars. At first, it was reported that Tyga was looking for a million dollars in damages, but somewhere along the line that figure got increased significantly. Tyga may be facing action from law enforcement if he doesn't cough up over $2 million related to a lawsuit from 2 years ago!